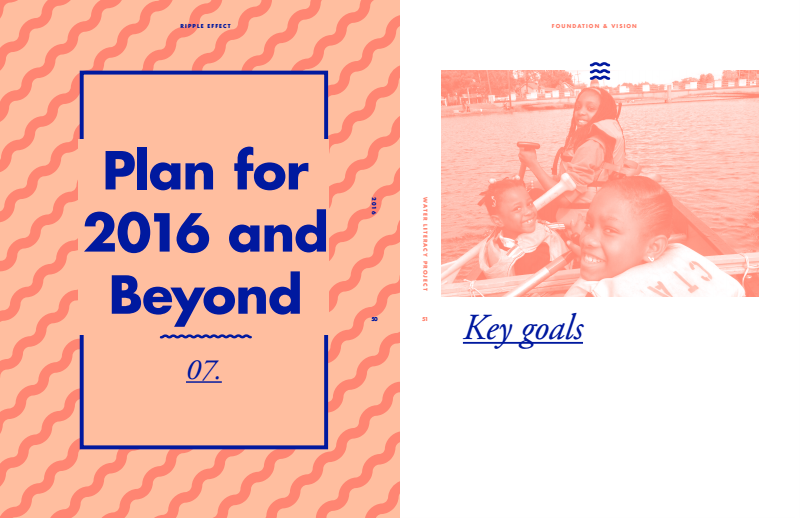 Founding member and Creative director of branding and identity design, web design, communications and collateral. 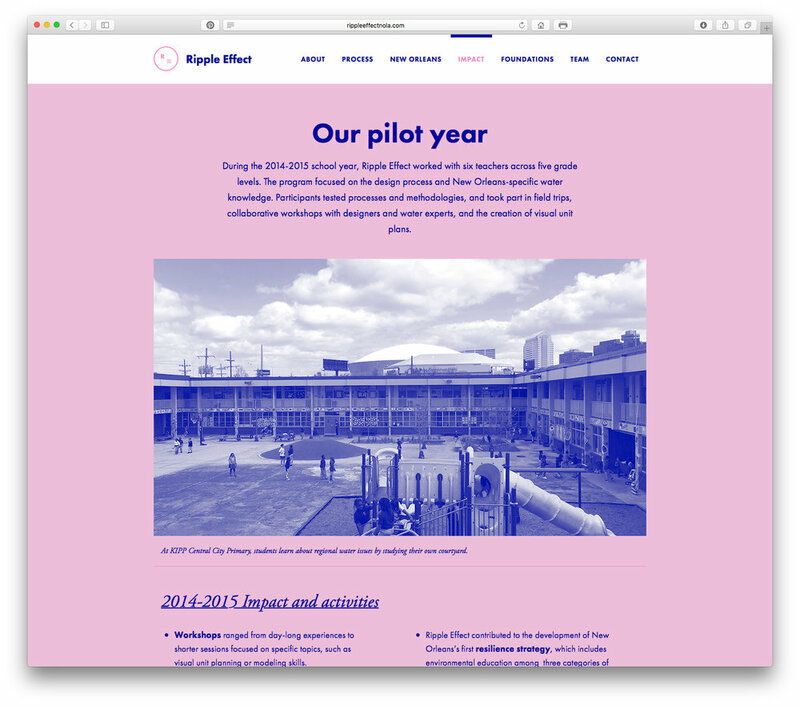 Completed in collaboration with Chris Huban. 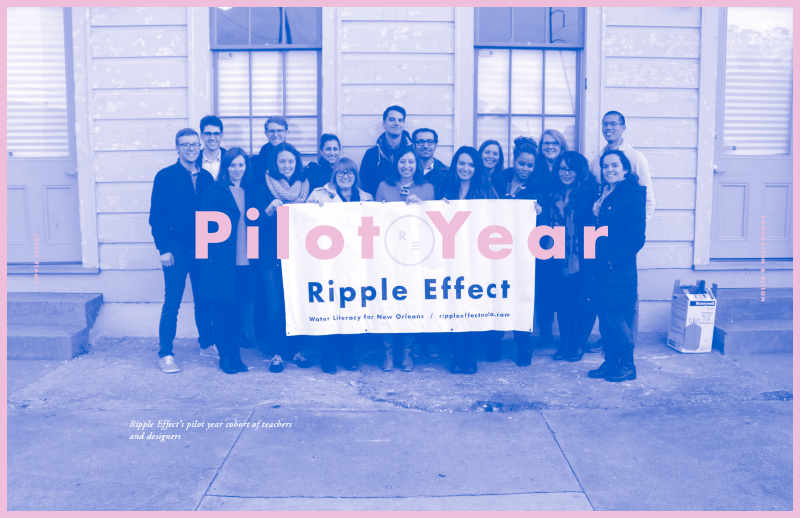 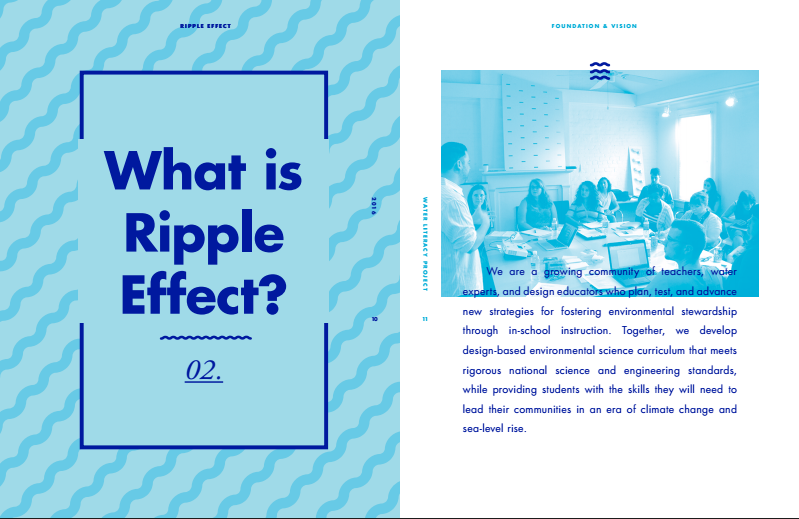 Ripple Effect promotes “water literacy” through design-based, in-school instruction and gives students the knowledge and skills they need to strengthen their communities in an era of climate change and sea level rise. 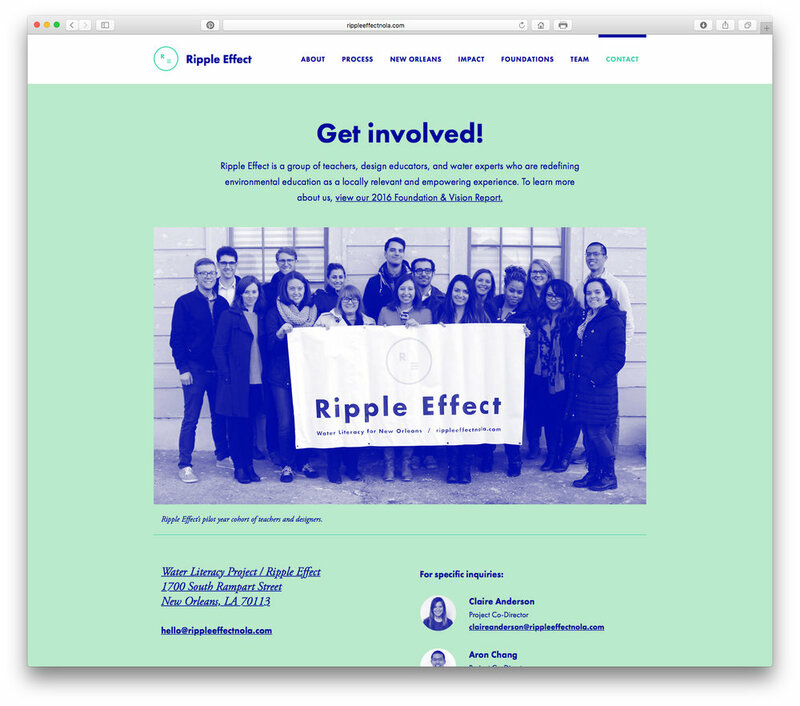 Ripple Effect works with teachers and students to establish water literacy programs at their schools. 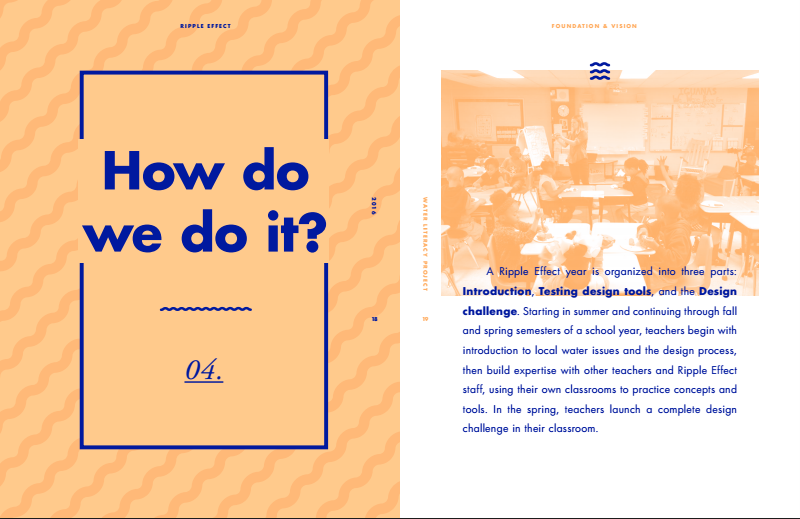 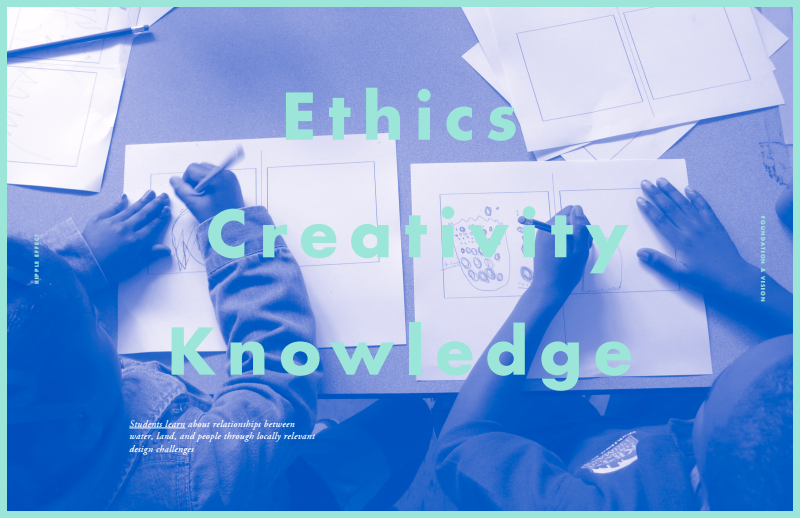 We bring together designers, educators, and water experts to create curriculum aligned, design-based classroom experiences that connect to real places. 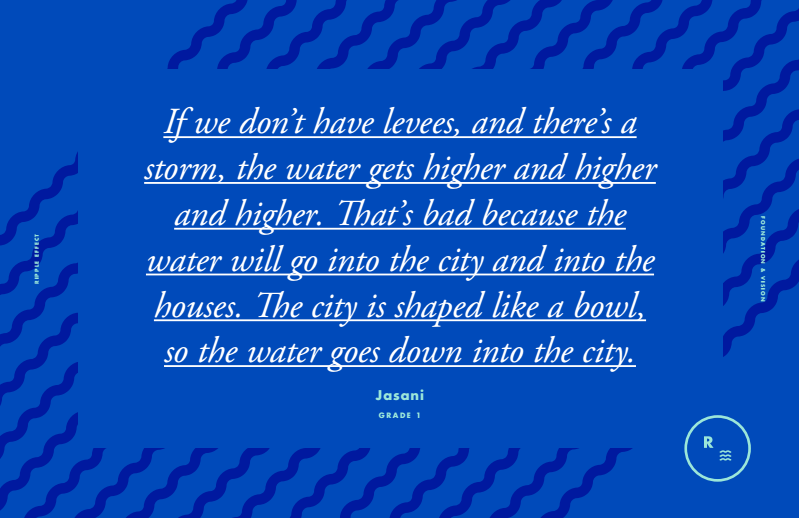 In New Orleans, we are working towards building an empowered and water-literate citizenry.